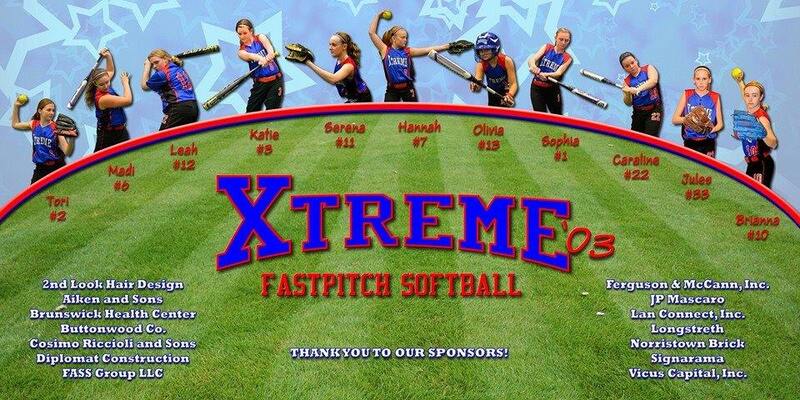 Our Xtreme team is a highly competitive team currently in our 6th season together dedicating ourselves on a team first attitude. All of our athletes are pursuing collegiate softball opportunities who will be competing in the top USA, PGF, PONY, and top events in the country. Formerly PA Xtreme Premier ’03, we will continue with 2020, 2021, and 2022 birthdates. February 1, 2019 -2019 summer schedule announced (see below). September 1, 2018 -PA Xtreme Gold is happy to announce the additions of Hannah Cassner (2021) and Paige Forry (2021) to our roster! August 18, 2018 – fall schedule has been released below. We look forward to seeing you at our next event! July 9, 2018 – Congrats to 2021 Prospect Allie Daubert for making Mercury All-Area as a freshmen! June 24, 2018 – Congrats to the X’03 for going undefeated over 4 days and winning the 2018 TeamNJ Challenge Cup! 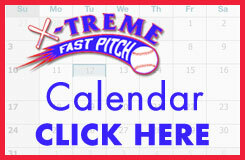 This will secure a bid for the PA Xtreme into the 2019 TeamNJ Summer Showcase. Excellent! June 17, 2018 – 2021 Freshman Allie Daubert earns 1st Team All-Conference honors for the PAC10! June 3, 2018 – Congrats to X’03 for finishing Co-Champions in the BlueChip Super40 Elite Showcase in Shamong, NJ. April 22, 2018 – X’03 wins the 2018 Jennie Finch Invitational at Diamond Nation. Congrats on a great weekend and terrific way to start the year. March 22, 2018 – Congratulations to all Xtreme ’03 players for making their respective school ball teams. March 3, 2018 – Xtreme ’03 finishes 3rd in the Nook 16u Indoor, losing to a tough Pittsburgh Predators team in the semi-finals. December 28, 2017 – Congrats to 2021 Prospect Serena Goodridge for earning a spot on the Under Armour/Softball Factory National Development team with the option to participate in their CWS Select Training in Oklahoma City and World Series in Vero Beach, FL..
November 5, 2017 – Congrats to our own Rachael Moser!!! She earned a spot in the Under Armour/Softball Factory camp and games in Florida at the prestigious Dodgertown complex. September 30, 2017 – X’03 finished in 2nd place at the USA Elite Select National Qualifier in Westampton, New Jersey. With their 2nd place finish, we have received a bid to Kansas City for the 2018 World Fastpitch Championship. September 9-10, 2017 – Patriots Day Classic – Congratulations to the PA Xtreme Premier for winning the 16U Patriots Day Classic in Leesport, PA.
August 1, 2017 – Triple Crown Nationals – great showing for the Xtreme 03 as they finished 9th overall in Myrtle Beach versus of the best competition in the country. 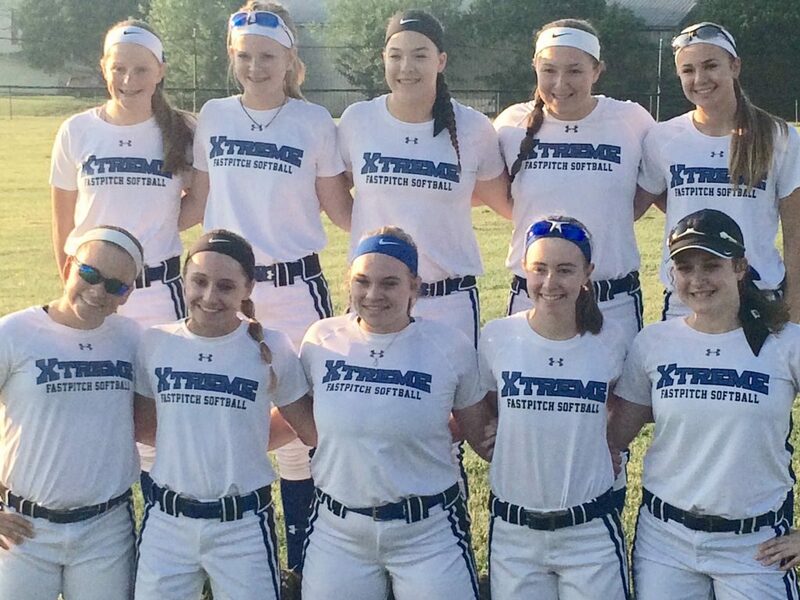 June 11, 2017 – Top Recruit Showcase – great showing for the Xtreme 03 as they finished 5-2 in the Top Recruit Showcase in Leesburg,Virginia losing in the semi-finals of the 14U Premier Division. June 02 2017 – Congrats to Madison Walsh, selected to play on the USSSA Northeast National team during August 2017. May 23, 2017 – NJ Heat PONY National Qualifier – congrats to the Xtreme Futures for winning 6 straight to win the PONY qualifier. Great weekend of defense and pitching. 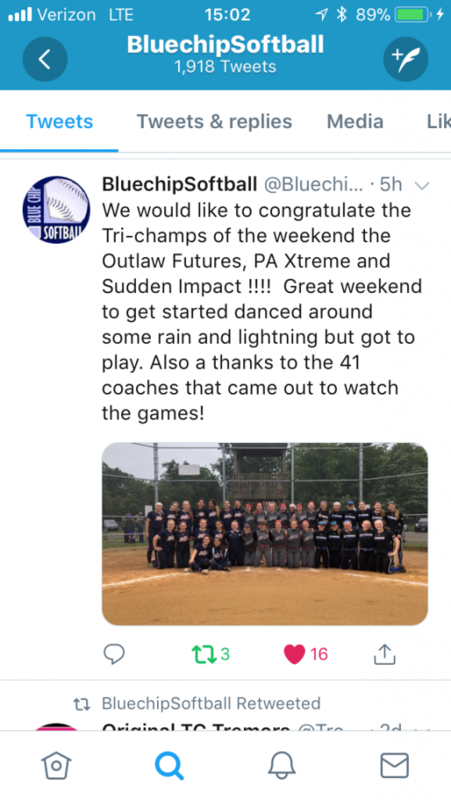 April 30, 2017 – Great work by the Xtreme Futures as they reached the semi finals in both the Jennie Finch Invitational (Flemington NJ) and the PONY Welcome to our Nightmare Qualifier (Voorhees NJ) in back to back weekends. March 26, 2017 – Nook Indoor (Manhein, PA) – congrats to the X’03 for placing 1st in the 2017 14U Nook Indoor tournament. March 19, 2017 – Trouble in the Bubble (Robbinsville, NJ) – congrats to the X’03 for finishing in 2nd place in the first event of our season. June 26, 2016 (Flemington, NJ) – PONY North Atlantic Regional Champions. 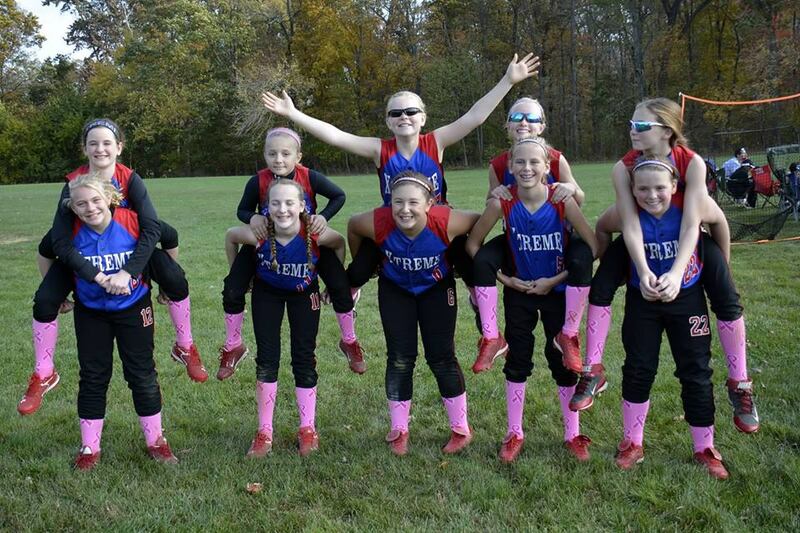 Xtreme ’03 won 7 straight at Diamond Nation to take the PONY crown, only giving up 3 runs in 7 games. Sponsors – a special thank you to all of our great and generous sponsors. We appreciate your support! !